Each package includes 8 paper 7 inch round party plates with a black and white check design. 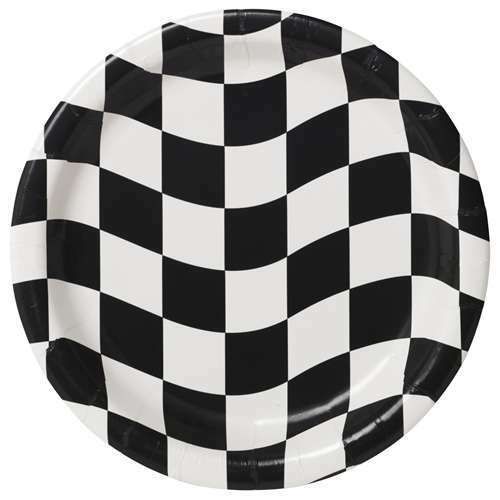 Great for your race day parties. Made with Sturdy Style technology for extra strength and durability.